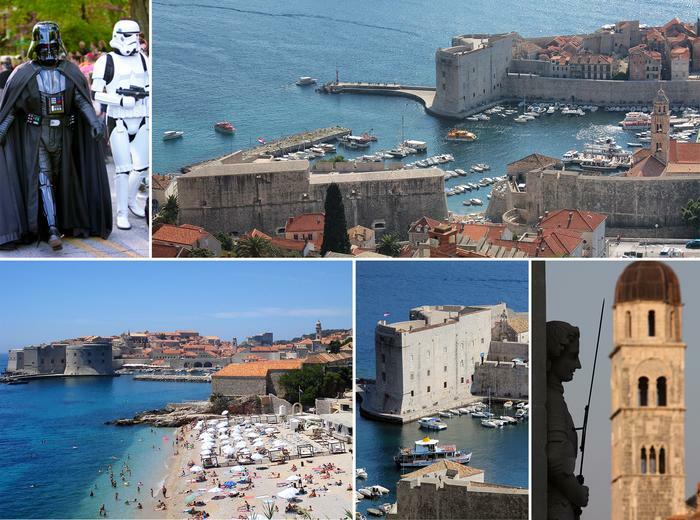 Episode VIII of the cult movie Star Wars will be filmed this year in Dubrovnik from the 9th of March until the 16th of March. It seems Croatia is becoming more and more popular as a filming location year after year - one of the most popular TV shows ever - Game of Thrones - has also been filmed in Dubrovnik. So, if you're a fan be sure to book accommodation in Dubrovnik and grab the chance to see the famous set and props. Who knows, if you're lucky you might even stumble upon one of the movie stars walking down the Stradun street or having a coffee in one of the local cafes. The city of Dubrovnik will provide free city maps with movie set locations and routes for easier navigation around the town. Few days before the actual shooting takes place there will be rehearsals which are a great chance to see everything happening on the set. The biggest fans will probably use this opportunity to investigate the look of the set closely and try to figure out what interesting twists we can expect in the Episode VIII. If you haven't been to Dubrovnik this is really an ideal opportunity. You can book a seaview apartment, spend a day walking the beautiful streets and experience the rich historical and cultural heritage of this amazing city protected by UNESCO. There are numerous breathtaking attractions such as the famous city walls which encompass 5 bastions and 16 forts, then there's the beautiful Stradun street, Rector's Palace, Sponza Palace, the Church of St. Blaise and Orlando's Column as well as interesting ancient churches, cathedrals and narrow streets. Besides these historical sites there are great natural attractions like beautiful green scenery, clear sea and amazing beaches, coves and islets which surround the city. These interesting islets in the proximity of Dubrovnik are Daksa, Grebeni, Koločep and UNESCO protected Lokrum which is a special forest vegetation reserve with a small lake called Dead Sea that is great for children and non-swimmers. Dubrovnik is a city that is worth visiting at least once in a lifetime. Such a big event like shooting of iconic Star Wars movie is definitely a reason to do it this year!